If you are looking for something new and love robot shooting & steels (robots) on the battlefield then it would be the surprise for the robot lover's initially it won’t cost you anything. 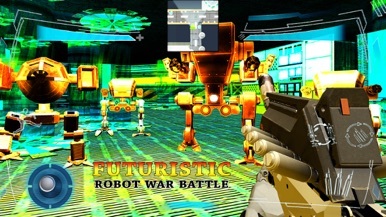 Futuristic Robot War Batle Pro is mech war and target shooting game of 2018. Robot mech war lovers have a unique surprise of 4 stunning environments for players. 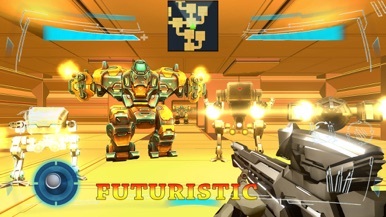 Be ready to target shoot killing all the robot terror from the futuristic city. You have targeted the terrorist with your modern robotic skills & you have the different harmful weaponry to target all the mafia bustard and terrorist make again peace in the futuristic city. 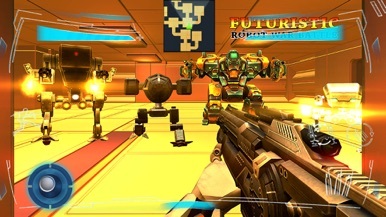 War with mech warrior battlefield robots is to play first-person shooter FPS, Futuristic Robot War Battle Pro - frontier shooting game. Games that’ll make you fall in love man of iron & steel (robots) with futuristic sci-fi gun shooter & robots genre. With extensive 3D environment & a lot of missions full of guns, Pistols, Rifles, ShotGuns, RailGuns, Grenade Launchers, Rocket Launcher ( Heat Seeker ), Cluster Bomb lasers, canons & missile shooting action this game will change how you look at mobile robotic warrior games. Play the role of a steel iron ore robot on a special ops mission to rescue fellow spy robots from the enemy in this action filled thrilling adventurous gun shooting game. 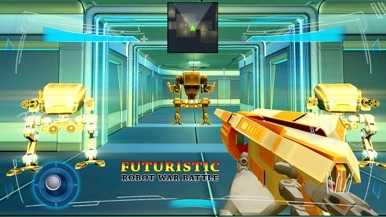 You can experience futuristic robots frontier shooting with modern weapons to survive in this robots shooting game. 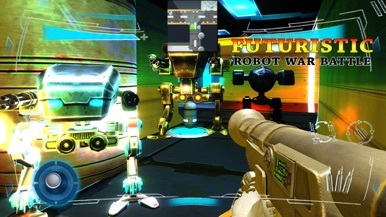 – Many battle robots with different strengths, and strategy. – Many possible combinations of robots and weapons. Create a war machine to fit your own playstyle. – Four different environments with hard levels. _ be the robotic hero is this mech war. Onward, robot soldier! Victory is yours!y and be the superhero in the futuristic city. Serve you customers in time. How much can you make in your virtual restaurant? Let's see.